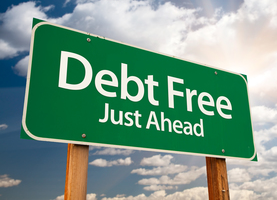 The number one way to get out of debt is to spend less than you make, and for me, that means, I must make more money! My steady clientele is slowly growing. My plan is to contract out 30 hours per week to a stable of clients. These leaves me with 10-20 hours a week for project work and additional hours from clients. In addition, I’ve been looking for “side hustles” to make some extra money. No MLMs or things like that, been there, failed at that. This is what I have come up with so far. Do you have any ideas to add? Sell items I have around the house we no longer need or use. Selling crafts created from supplies we have on hand. Selling the soap I make here at home, again with supplies I have on hand. I am specifically looking for opportunities that cost no money, use things already have on hand, are not tied to my consulting business and are not labor intensive. I’ve also been given the opportunity to work as a commission based salesperson for a local friends company. She is going to split the profit for any sales I make, giving me 90% and she will keep 10%. What other ideas do you have for me? Do you have a side hustle that you love? Two years ago I hosted a yard sale that after all expenses netted me about $120. I did some research on how to make it great that I want to share with everyone today. Since that time we have acquired loads of stuff, something I am a little ashamed of. It totally feels as if we are outgrowing our home, but if I really try to nail down the reason, I think it is because we have too much clutter. So it is now time to declutter once again, but at the same time add to the get out of debt fund, totally seems like a win-win situation in my eyes.. Here are some tips that I have found to make sure your yard sell is a success. Try avoiding holiday weekends, and make sure it’s approved by your homeowner’s association or local government. Some cities designate a specific weekend or two each year and don’t allow yards sales at any other time. I didn’t do this step two years ago, since I decided to do the yard sale, after seeing a town wide yard sale sign. Having it on this day will ensure me greatest potential for foot traffic. The question is though, is this a good idea? I am considering having it on another day, simply because yes there were hundreds of people out that day, but I was the only house on my block that was having one. If I was reading the town map of yard sales and only saw one house in the area, I would either save it for last or not even go. I also want to really plan this out for a month or two, prepping things and deciding if a yard sale would be the most profitable for the item. Use signs and local advertising, and be descriptive about some key items you have. Make sure all the signs look alike and are BIG with THICK black letters. Try to be different and use something that stands out, like the fluorescent color poster boards that you can find in the arts and crafts sections. Post a notice in your local newspaper’s classified ads. State your key items and how to find your place. Also place what color poster boards to be looking for. Use websites like Craigslist and Yard Sale Search. There are even apps for such things now. At a yard sale, no one is expecting to pay retail. After reading tips, it seems the norm to sale an item for 25% of their retail value. Bundling like items for one price may help things move faster. Remember to price everything, because you don’t want to take the time to answer how much for this particular item a hundred times, it could ruin your sale. Regardless how you decide to price thing, there will be shoppers who will want to negotiate with you. Yes, you spent all that time pricing everything, but sure enough someone will come up to you and try to haggle their way down to a cheaper price. Give it some thought ahead of time about which items you are firm on and which items have some lee-way. Personally the only things I am pretty set on the price are my bigger ticket items. Because you know someone will try to haggle with you over the thing, price the item a little more so you have the room to negotiate the price. Just remember if they bargaining with you, it’s because they are interested in the item, don’t be completely rigid, but don’t give your stuff away. The more you can spread your items out, the better. Hang clothes up on a portable clothes rack, along a fence, or make your own makeshift clothesline. People are more inclined to stop if you set up shop in your yard or driveway. Make your yard sale inviting and easy to browse. Set up tables and lay out smaller items so people don’t have to bend over to look through everything. This might hurt my yard sale, for I have a small yard and you have to walk between my house and the mother in law’s house to get to the yard. But I decided to lure some people in by placing the highly desirable items near the road. During early morning sell coffee and tea. While during the afternoon, have a cooler with can sodas and bottled water. This will be pretty easy for us, since we have a huge stockpile of beverages. I actually plan to do one better and have food to sell. Probably like sausage, egg, and cheese wraps for breakfast. And hamburgers, hot dogs, and barbeque for lunch. Being a chef and knowing how to make all this in large portions for a great cost ratio comes pretty naturally to me. It seems like a good starting point is have $30 in ones, $30 in gives, $10 in quarters, and $5 in dimes and nickels. I plan to have a little more quarters, since I probably will be selling lots of things for a quarter. Never use a cash box, always keep your money on hand. These days you can never be too careful. Running a yard sale isn’t that hard, but with a little effort into making it an pleasant environment, you can make a lot more money. Anyone have any other tips?